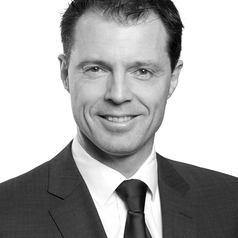 Adam is a Director with the Market Modelling and Economic Analysis Group at Ernst & Young in Perth and is an Honorary Research Associate of Murdoch University. Prior to joining Ernst and Young, Adam was a Lecturer with the School of Engineering and Information Technology at Murdoch University, specialising in energy economics, energy policy, electricity markets and the regulatory economics of natural monopoly infrastructure. From 2006 to 2008 Adam was employed as Manager of Projects at Western Australia’s Economic Regulation Authority, specialising in revenue cap regulation of the energy and water industries in in the monitoring of the Wholesale Electricity Market. Adam has expertise in engineering economics, mathematical/statistical/financial modelling and the analysis of regulatory policy and energy markets. Much of Adam’s work has involved the development of reports that can be understood by a non-technical audience. However, Adam has also published numerous peer reviewed journal articles and conference papers that have applied cutting edge economic/financial analysis techniques, mainly focused on electricity investment decisions in the face of deep uncertainties that may affect a project’s viability.